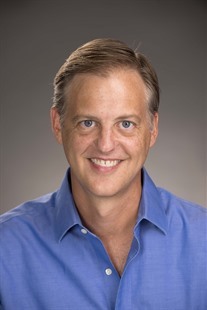 Robert Crosnoe is Rapoport Centennial Professor of Liberal Arts at the University of Texas at Austin, where he is the chair of the Department of Sociology and also holds faculty appointments in the Population Research Center and (by courtesy) Department of Psychology. Prior to coming to Texas, he received his Ph.D. in Sociology from Stanford University and completed post-doctoral fellowships at the Center for Developmental Science and Carolina Population Center, both at the University of North Carolina at Chapel Hill. Dr. Crosnoe’s research primarily focuses on family, education, and health with special attention to the experiences of children, adolescents, and young adults from socioeconomically disadvantaged and immigrant populations. This research has been funded by multiple grants from the National Institutes of Health, National Science Foundation, Institute of Education Sciences, National Institute of Justice, William T. Grant Foundation, and Foundation for Child Development. It has been published in inter-disciplinary journals, such as American Educational Research Journal, American Journal of Public Health, American Sociological Review, Child Development, Demography, Developmental Psychology, Journal of Marriage and Family, and Proceedings of the National Academy of Sciences. His books include Mexican Roots, American Schools: Helping Mexican Immigrant Children Succeed (Stanford University Press), Fitting In, Standing Out: Navigating the Social Challenges of High School to Get an Education (Cambridge University Press), Asset or Distraction: Physical Attractiveness and the Accumulation of Social and Human Capital from Adolescence and Young Adulthood (Monographs of the Society for Research in Child Development with Rachel Gordon), Healthy Learners: A Whole Child Approach to Disparities in Early Education (Teachers College Press with Claude Bonazzo and Nina Wu), and Debating Early Child Care: The Relationship between Developmental Science and the MediaUniversity Press with Tama Leventhal). In the past, Dr. Crosnoe has been a Co-PI of the NICHD Study of Early Child Care and Youth Development, chaired the Children and Youth Section of the American Sociological Association, served on the Governing Council of the Society for Research in Child Development, and completed a term as Deputy Editor of Journal of Marriage and Family. Currently, he is President-Elect of the Society for Research on Adolescence, Co-Director of the Interdisciplinary Collaborative on Development in Context, and serves on the board of the Council on Contemporary Families. He has been elected to the Sociological Research Association, received awards from the Society for Research in Child Development, three sections of the American Sociological Association, and the Society for Research on Human Development. He has also been awarded the Scholar Award from the William T. Grant Foundation and the Changing Faces of America’s Children fellowship from the Foundation for Child Development and completed a fellowship year at the Center for Advanced Study in the Behavioral Sciences.